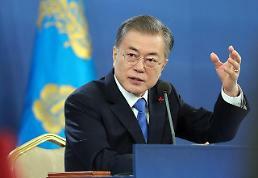 SEOUL, Jan. 04 (Aju News) -- South Korean President Moon Jae-in's popularity rose this week, helped by North Korea's sudden peace overture that fueled positive public expectations on possible cross-border rapprochement, according to a weekly survey published on Thursday. 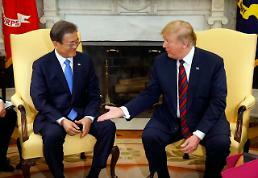 Moon's approval rating has hovered around 70 percent since the liberal president took office in May last year, but his rating stayed below 68 percent once in December because of criticism that he failed to receive proper treatment during his state to China. 68.5 percent last week, thanks to high public expectations that the two Koreas may put their stalled dialogue back on track. 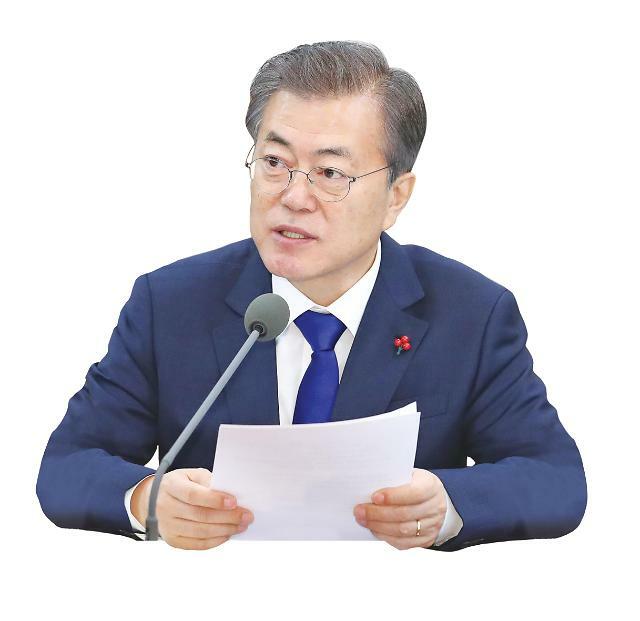 A separate Realmeter poll found that 76.7 percent of South Koreans supported North Korea's participation in next month's Winter Olympics while 20.3 p[ercent remained negative and wanted Moon to focus on nuclear and missile threats. The survey came a day after North Korea reopened a closed cross-border hotline in the border truce village of Panmunjom to discuss its participation in the Winter Olympics. In February 2016, Pyongyang closed the Panmunjom hotline, which has been used for inter-Korean contact and exchanges for decades. North Korean leader Kim Jong-un said in his New Year's message that he is willing to send a sports delegation to South Korea. 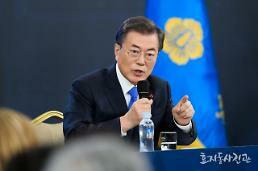 In response, Moon called for quick steps to resume inter-Korean talks that came to a complete halt because of a hardline stance taken by his jailed predecessor, Park Geun-hye.